Born 14 December 1944, Newark, New Jersey, USA, d. 14 March 1972, New York City, New York, USA. Linda started in her family's gospel group the Jones Singers at the age of six. Her first recording was "Lonely Teardrops" under the name Linda Lane, on Cub Records in 1963 her biggest hit was "Hypnotized", which almost made the US Top 20. Black Music magazine described her as "perhaps the most soulful singer in the history of R&B music" A diabetic, Jones passed away 14 March 1972 before arriving to the hospital in Newark New Jersey. She went into a sugar coma in her sleep at her mother house. 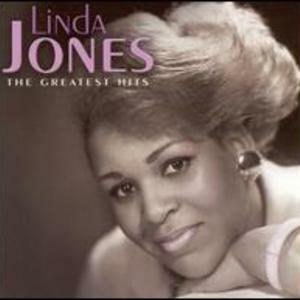 Linda started in her family's gospel group the Jones Singers at the age of six. Her first recording was "Lonely Teardrops" under the name Linda Lane, on Cub Records in 1963 her biggest hit was "Hypnotized", which almost made the US Top 20. Black Music magazine described her as "perhaps the most soulful singer in the history of R&B music"
A diabetic, Jones passed away 14 March 1972 before arriving to the hospital in Newark New Jersey. She went into a sugar coma in her sleep at her mother house.